San Marcos, CA — On May 12, 2018, at 11:08 a.m., deputies from the Sheriff’s San Marcos Station and Traffic Division responded to a vehicle vs. pedestrian collision near 578 E. Mission Road in the City of San Marcos. Based on the preliminary investigation, it was determined a vehicle traveling westbound on Mission Road near the above mentioned address collided with a pedestrian who was walking on the north sidewalk of Mission Road. The driver of the vehicle did not sustain serious injuries; however the pedestrian succumbed to her injuries on scene. 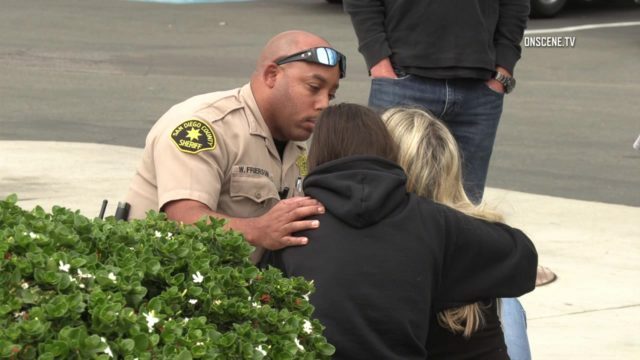 A deputy comforts witnesses after the girl was struck and killed by a car in San Marcos Saturday. Photo courtesy OnScene.TV. A Mission Hills High School student was struck and killed by a car in San Marcos on Saturday. 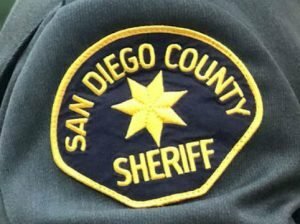 The crash happened about 11 a.m. on East Mission Road near Mulberry Drive, according to the San Diego County Sheriff’s Department. The cause of the collision is still under investigation. Anyone with information is requested to contact Sgt. N. Maryn at (760) 510-5295.